Save Today - pay no extra for delivery when you add a new mattress or underbed storage to your order. Our handmade Oxford Bed Frame features a higher headboard and footboard which provides greater support in the overall wooden bed frame. Taking inspiration from the innovative design of our handmade wooden Cambridge Bed frame and the regal qualities of the London Bed, our luxury Oxford Bed truly takes the very best from these two brilliant options. Available in a variety of Scandinavian Pine finishes, the lovely and smooth chocolate finishes has proven very popular with our customers, as has the Walnut finish which looks superb with its more natural look. The Oxford Bed keeps to the same elegant look and stylish bed frame design that has been very popular with our customers. 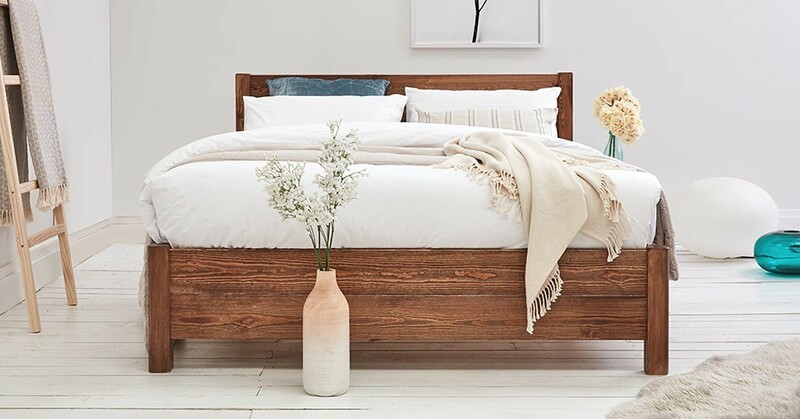 The sophisticated look of the Oxford bed makes it perfect for any bedroom, and is made to bring out a traditional, smooth look that defines our wooden bed range. 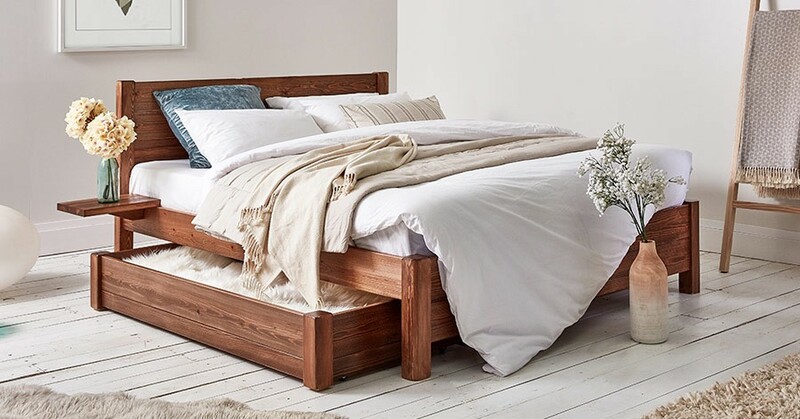 This delightful addition to that bed range looks great in many of our Solid Scandinavian Pines finishes as well as being popular with our Oak Hardwood option for its more luxurious and natural look. 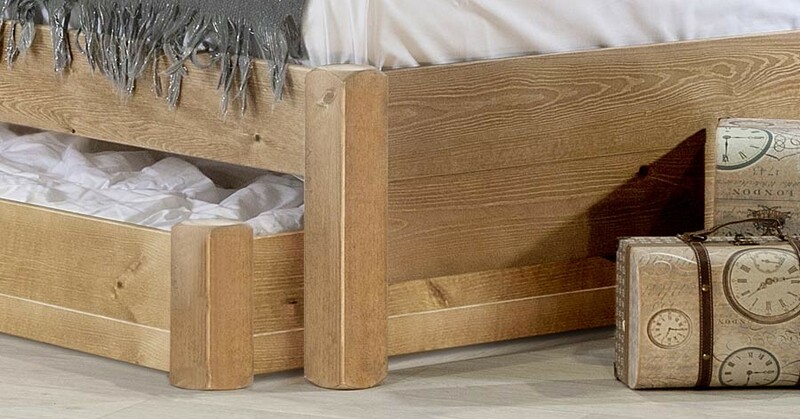 Not only does the Oxford Wooden Bed boast a popular traditional stylish frame, but as part of our standard height bed range, there is plenty of room underneath the frame for that extra space to be utilised efficiently. 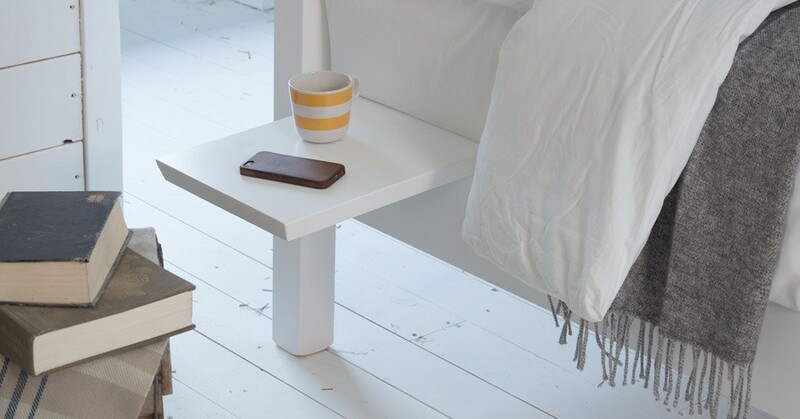 This makes the Oxford Bed perfect as a storage solution, and can fit any underbed storage boxes you may need. We hand-make all our wooden bed frames using only quality materials and traditional methods, including using the Tenon and Mortise joints. This makes the Oxford Bed perfect for your master bedroom. The Oxford Bed, as with all of our wooden bed frames, is handmade here in the UK by our skilled team of experienced carpenters. We take pride in the quality of our wooden beds, so much so that we offer an 11 year guarantee on all wooden bed frames as a standard. The Oxford Bed frame is available in all sizes, ranging from a Small Single all the way through to the exclusive Super Caesar 9ft bed frame. We can also offer you the option to choose any colour that suits your needs from a variety of 10 wood stains, as well as our Solid Hardwood options, all of which will be stained with a clear satin to protect the wooden bed. 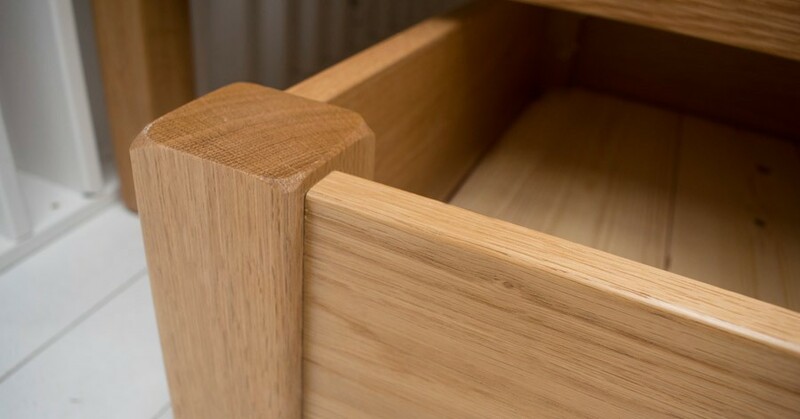 All of our handmade beds are made to order, and this bespoke service allows us to make any alterations or size adjustments you may require for your bedroom. 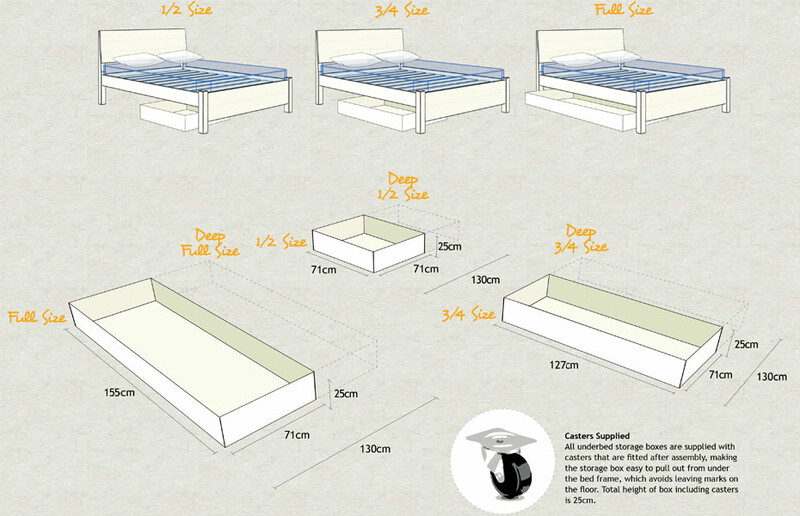 A feature which goes the extra mile in allowing you to make your Handmade Oxford Wooden Bed frame the perfect size for you and your bedroom. While our handmade wooden Oxford Bed frame is quite similar to our London Bed, it comes with a higher headboard for any extra support you may need and is perfect for relaxing in bed. 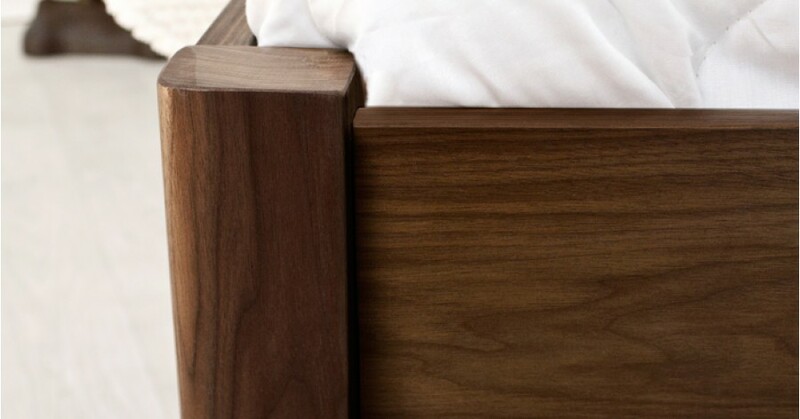 The Oxford Wooden Bed frame pays homage to the other London themed beds in both its style and design. It takes inspiration from such beds as the Chelsea Bed frame and the Cambridge Bed.